Black Mesa Indigenous Support (BMIS) is grateful for fundraising efforts in support of the indigenous peoples of Black Mesa, AZ who are protecting their communities, ancestral homelands, future generations and the planet we all share. Black Mesa encompasses a very large area inhabited by both Dine’ (Navajo) and Hopi peoples. 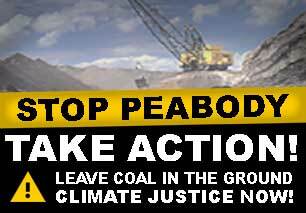 Primarily, BMIS focuses our support efforts with the Dine’ communities who are impacted by and resisting forced relocation policies of the US government and massive coal mining operations of Peabody Energy. The following document provides some guidelines to help boost your fundraising efforts in support of Black Mesa. First we give a sense of the wide variety of projects supported by grassroots fundraising over the last ten plus years. The sections giving a historical account of the struggle and differentiating our model of grassroots fundraising from charity will provide context for how we approach support work and why. Be sure to check out the list of families’ projects and ways to support, a condensed list of the actual guidelines for quick reference, and lastly helpful tips and resources for fundraising. Stay posted for BMIS’s Support, Representation, & Accountability guidelines! We hope that these guidelines will be used to help keep BMIS and the resistance communities we work with informed of all of the good work that is happening on their behalf. Keeping us informed is a way of practicing accountability, and it also helps us plan our budget and distribute incoming support as evenly as possible between the families. We want to acknowledge that some of you reading this may already be aware of the points we’re raising. You may be from Black Mesa. 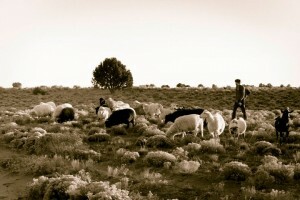 The supporter network is very diverse, some supporters are relatives of Black Mesa residents, some come from wealthy white families, while others are working and middle class people of all races, some are genderqueer, some are rural and some urban – everyone has varying access to power, privilege, and resources. Since we work with supporters from a diversity of class and political backgrounds, we are trying to make this document relevant to everyone, simultaneously recognizing it will be more necessary and useful to some. Those of us in the BMIS collective do not claim to have all the answers, however we’ve learned a lot along the way, sometimes from mistakes we’ve made, and by taking direction from families. This document is a reflection of that. It’s a work in progress and we hope it continues to grow. We welcome your insight, critiques, and questions. We hope that these documents spark a critical yet constructive dialogue concerning the challenges that we face as we engage in social transformation. Consistently for the past 20 years the power of grassroots funding has put firewood, nutritious food, and other supplies into the hands of 100 plus families in resistance every fall season. BMIS has been involved in the annual fall-season caravans since our inception in 1998. With the guidance of residents, we have branched off to coordinate our own annual fall and spring caravans since 2008, while still being in collaboration with fellow support groups who organize them. We make an effort to purchase wood from the local community, and obtain wood permits for wood crews. Supporters and families have worked together in rebuilding or doing repairs on homes; dozens of corals and a ton of other construction projects have been completed. Community roads have been restored. Dozens of vehicles have been fixed, either by purchasing necessary parts or by sponsoring mechanics to come to Black Mesa and work with people there. Hundreds of people have come out to herd sheep. Community members — phone and gas have been financially sponsored so that they can check in with their relatives throughout the hundreds of miles that their communities encompasses. Community meetings, gatherings, and feasts have been sponsored or made possible — purchasing local mutton and compensating the cooks. Funds have sponsored elders and second generation resisters (residents and relatives) of Black Mesa to attend speaking engagements, protests, and conferences around the country in an effort to amplify the voices of those from Black Mesa, so that they can network, and to make the resistance to forced relocation and massive coal mining operations at Black Mesa more visible in movements for social and environmental justice. Currently funds are being used being raised to support family members in making a documentary about water rights on Black Mesa. There is an array of other needs that have been funded by grassroots fundraising: getting people’s livestock back which have been impounded by tribal governments; for legal fees, and bereavement/funeral costs. Additionally it’s worth mentioning that the power of grassroots organizing and fundraising also creates holistic clinics on Black Mesa, which has been separate from BMIS’s work. Our overhead is extremely low. Nearly all of BMIS’s funds go to the communities that we are working in support of. We are an all-volunteer collective. The costs we do have include occasional phone bills mainly during the times of the caravans, repairs for BMIS trucks used on Black Mesa, community feasts that supporters are invited to, and very little else. Most of the time we rely on our community connections & creativity to keep any organizational expenses at a minimum. All of the projects are at the request and guidance of the community. If you fund raise and give directly to a family, please let us know so we can focus resources elsewhere. Our involvement and communication with community members helps maintain a check and balance for how funds are evenly distributed. We want to acknowledge that the supporter network plays one small part in addressing the needs of individuals & whole communities impacted by the personal and the devastating impacts of colonialism and genocide. We cannot reach everybody that we’d like to. GRASSROOTS FUNDRAISING: AN IMPORTANT OPPORTUNITY TO REFLECT OUR POLITICS: Fundraising provides an opportunity to practice our politics in concrete and meaningful ways. It needs to be addressed with the same attention and thoughtfulness as other aspects of our work. Since we are a grassroots, all-volunteer collective and network, we do not receive nor rely on any institutional funding for support efforts, but instead count on each participant’s ingenuity, creativity, and hard work to make it all come together. A volunteer-only model is most in alignment with our values of fostering committed allyship in movements led by people most impacted by colonialism, racism, and ecological destruction (in this case, the resistance communities of Black Mesa) . That means doing this work not based on income and not relying on large donors, foundations, and so forth who then have control over the work, and unintentionally or intentionally can turn resistance movements into organizations that work within instead of posing a direct threat to oppressive institutions. The questions of who is raising money for whom, and why, is super important. As portion of our vision states: We see ourselves as part of a people-powered uprising for a healthy planet liberated from colonialism, fossil fuel extraction, exploitative economies, racism, and oppression for our generation and generations to come. We value relationships built around principles of mutualism, accountability, and innovation. To back this up, we think it’s necessary to acknowledge institutional racism; it’s roots in capitalism, and the many ways in which this system has always been based on white supremacy. Centuries of colonization, genocide, and systems of oppression have broken trust. This history continues to play out even within well-intentioned social movements. The wealth created from the theft of indigenous land, labor of African captives and war on Mexico made the European American colonial owners a very wealthy class of people, and provided the capital that created capitalism in the United States*. The ongoing illegal expropriation of natural resources and labor, theft of territory, and genocide committed against the indigenous peoples, as well as the militarization of the border and prison industrial complex, still continues to foster the growth and accumulation generated by globalized free-market capitalism. By not making these acknowledgments our support would be no different than charity. The nature of charity work assumes that people are incapable of their own self determination and need to be saved by an outside individual or organization. It acts to put the power in the hands of the outsider. We recognize the ways in which long-standing institutions and systems work to continuously undermine the sovereignty of indigenous nations. Charity perpetuates the root issues that cause communities to be marginalized in the first place, thus keeping the most privileged communities secure their dominance and maintaining power in the hands of the same groups that have most of it already. In effect, it shifts the blame onto the marginalized communities themselves. In this way it upholds and continues systemic oppression and colonialism. On Black Mesa, relocation laws have made it difficult for people to continue living on their ancestral homelands. Institutional racism has fueled neglect of public services such as water, roads, health care, and schools. Due to lack of local job opportunities and federal strangulation on Indian self-sufficiency, extended families are forced to live many miles away to earn incomes, although during these hard economic times lots of younger folks are moving back in with their relatives. Many of the families that we are in support of are elders and winters can be extremely rough on families. Families are often without phones, internet, electricity, and running water – leaving families driving tens of miles away on rough terrain to meet their needs. As one of their resistance strategies they call upon native youth and outside support as they maintain their traditional way of life in the face of the largest relocation of indigenous people in the US since the Trail of Tears. Why include these details in our fundraising guidelines? Because the struggle of Black Mesa is deep and complex, and including these kinds of facts and analysis is important to mention whether one is fundraising, soliciting donations, or planning to stay with a family. In doing so it sets our work apart from ‘a charitable cause’ and causes us to challenge the root causes of the issues in the first place. 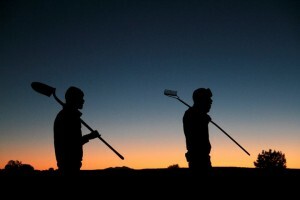 The mainstream media has presented the Black Mesa story as a centuries-old land dispute between two tribes. We know that this racist narrative needs to be challenged. What’s happening at Black Mesa is a microcosm of how the plutocracy of transnational corporations take and exploit indigenous lands with the cooperation of host governments. Divide and conquer has a long history in America as a technique of removing indigenous peoples from their lands. 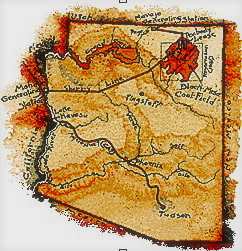 Much of the energy that makes the desert “bloom” (Vegas, LA, Phoenix, Tucson, and so forth) comes from the Black Mesa strip mines. It’s not an ‘Indian only issue’ (we’ve occasionally been told not to be involved). Rather, as Native-led organization Honor The Earth so eloquently states: believing in “a sustainable world is predicated on transforming economic, social, and political relationships that have been based on systems of conquest toward systems based on just relationships with each other and with the natural world….we are committed to restoring a paradigm that recognizes our collective humanity and our joint dependence on the Earth”. We encourage supporters who are not from Black Mesa to locate themselves in the struggle by asking how they are connected to it. In doing so it can contribute to building a perspective that addresses systems of oppression, the people those systems affect, and to understand how the mechanisms of control actually operate. Judith Nies draws some great connections in her article The Black Mesa Syndrome: Indian Lands, Black Gold: “We are all impoverished by the forces operating at Black Mesa, which degrade both culture and nature, and offer us instead a pseudo-reality–a version of events that prevents clear analysis and creative thinking.” When we understand these connections, we can craft solutions that truly help everybody. Building movements that include groups that explicitly address the colonial, racial, gender and sexual dimensions of the oppressive economic, social, and political systems is key to that process. For those of us with white privilege, we must build an anti-racist analysis into our definition of accountability. Those of us currently in BMIS, who do have white skin privilege, are have to consistently assess our work, checking in with Black Mesa families whether our support efforts reflect the priorities in their community. We encourage supporters to develop long-term relationships with multiple families and to be able to hear feedback directly from them, knowing that BMIS does the same. This is just one component of how grassroots fundraising can provide a check and balance structure. Black Mesa encompasses a very large area of both Dine’ and Hopi peoples. The communities where we primarily focus our support efforts are where Dine’ families reside in an area known as the Hopi Partitioned Lands (HPL) – lands partitioned by the government – also known as being on the ‘wrong side of the fence line’. Although we see the fence line as an arbitrary boundary made by the US and tribal governments, we primarily support Dine’ families affected by forced relocation policies and coal mining. Not only do families living on the ‘HPL’ areas not receive funding from Hopi, Navajo, or US governments, they are prohibited from making an economic livelihood for themselves. Tim Johnson, a resident of Dove Springs, explains how he’s not allowed to make any kind of profit because he is living on the ‘Hopi Partitioned Lands.’ People are not allowed economic development of any kind. That’s really choking you out”. The specific communities that we work with are those living in Coal Mine Mesa, Sand Springs, Tonalea-Red Lake, White Sands, Cactus Valley, Teestoh, Star Mountain, Big Mountain, Rocky Ridge, Mosquito Springs, Dove Springs, Red Willow Springs, Owl Springs, Cottonwood Springs, Jeddito, Lowe Mountain, Wide Ruins, and Thin Rock Mesa. 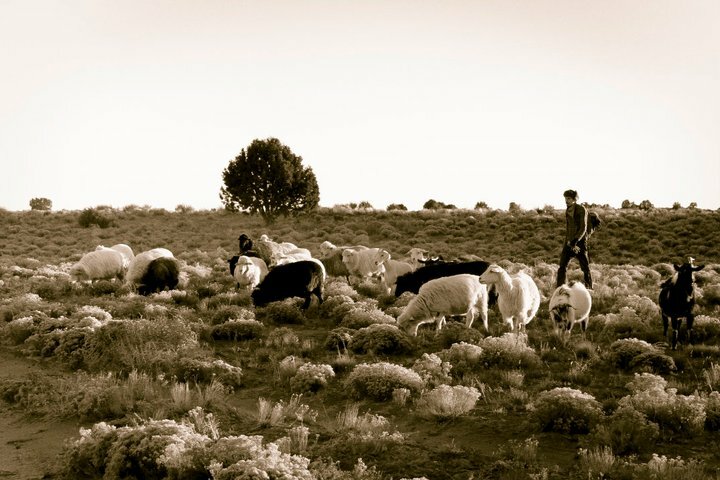 BMIS occasionally supports families located on the Navajo Partitioned Lands (NPL), especially those families affected by the encroaching mine and also affected by small grazing areas due to the fence. DISTRIBUTING SUPPORT EFFORTS EVENLY: As directed by the families, we strive to distribute funds, donations, and supporters evenly- whether in the form of supplies, monetary donations, work crews, or sheepherders. We are a small organization and can only operate within each of our capacities. This means that we don’t get to everybody; furthermore, it can be one of the major challenges of being an all-volunteer organization. At times it means that there are three or four people doing the bulk of the coordinating. So this is yet another very important reason why BMIS and the support network needs to be working with organizers from these communities. FUNDRAISING FOR BLACK MESA: PROJECTS AND WAYS TO SUPPORT: All of the projects are at the request and guidance of the community. All of the projects are at the request and guidance of the Dine’ communities. Our involvement and communication with community members helps maintain a check and balance for how funds are evenly distributed. Danny Blackgoat is currently bringing local indigenous youth to Black Mesa to work on hogans, repair community roads and work on other projects. With your support he intends on this being a continuing project. Inter-generational indigenous youth support program. Several local residents and relatives are organizing an event called ‘Honoring the Elders’. It is a community gathering and feast to honor the elders as well as to remember the elders who have passed. There are requests for mechanics to come to Black Mesa in support of the resisters. A project to fix many families vehicles spanning across Black Mesa ‘HPL’ lands. Sponsor Big Mountain resident Louise Benally so that she can attend the National Environmental Justice advisory conference at the end of October. Support Black Mesa residents who want to attend community prayer gatherings at the San Francisco Peaks. Assist residents in dealing with water and air issues at Black Mesa. Help local residents revive a local organization called ‘The Voices of the Land’, or to establish another organization that serves as a central voice for their communities to better deal with both the Navajo and Hopi tribes. Inquire about arts and crafts (rugs, sheepskins, wool & dyed yarns, jewelry) prior to your visit so that families can prepare and have them ready. Are you part of a food run? Then think ahead and put orders in with the organic farmers. Are you getting wood to multiple families? Purchase wood from relatives and pay them to deliver it. Please speak with us about tips. Sponsoring a gathering or meeting? Then purchase a sheep from a family and pay relatives to butcher and prepare food. Sponsor residents who want to attend gatherings, shareholder meetings, protests, and other peaking engagements. Specifically, support is needed to help residents travel to the upcoming protest against the States and Nation Policy Summit of the American Legislative Exchange Council (ALEC) near Phoenix, AZ. Help second generation resisters have a presence at the demonstrations in Nov 28 – Dec 3, 2011 so that they can represent their communities’ long struggle against colonial expansion and resource extraction. For more information on the protest, visit http://azresistsalec.wordpress.com/. 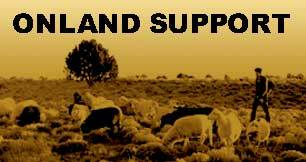 To assist in covering the costs of livestock impoundments so that families can get their livestock back. Sponsor families to get to community meetings. Funds to help cover the cost of funerals. 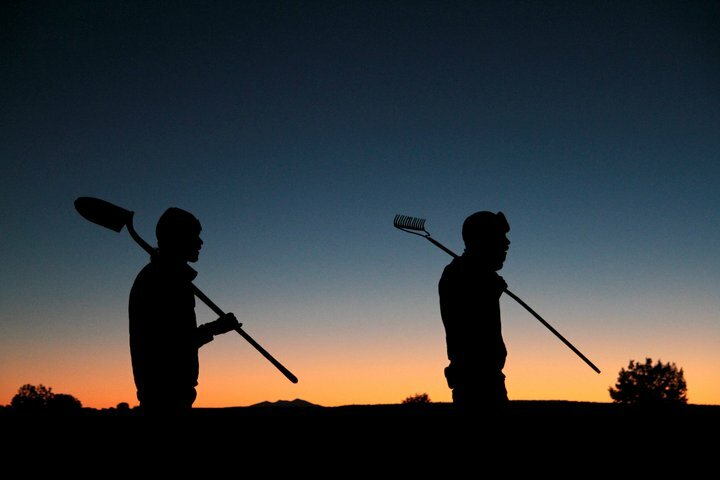 Organizing caravans of work crews to Black Mesa during the fall in preparation of the freezing winter temperatures and again, smaller work parties in the spring time. Funds to purchase wood from locals on Black Mesa, for wood permits so families will not get harassed for collecting firewood, or to cover the cost of gas specifically for collecting wood and chainsaw oil. Supplies for specific work projects that families have requested such as minor repairs of homes & livestock corrals, maintenance of roads, as well as food for the host family at gatherings. Sponsor relatives to drive around to check in with their families. Gas money and wear and tear on vehicles are costly! Check back here often for an ongoing NEEDS LIST (located on the BMIS website). You can donate for any of these projects here: https://supportblackmesa.org/donate/. You can also choose to earmark specific projects for your donations. IF YOU FUNDRAISE FOR YOURSELF to participate in work caravans or to stay with a family three weeks or longer: While we choose to build a culture of inclusiveness, we think it’s important for supporters who are not from Black Mesa to question your intentions for why you want to come. We especially welcome indigenous folks, people who are planning to be involved long term, folks who are deeply invested in and on the front-lines of movements for social, economic, environmental justice in their communities, and returning supporters. It is essential that you make it absolutely clear that the money you are raising is not going directly to the elders and families resisting coal and forced relocation but for *you* to stay there X amount of weeks in support of those resistance communities. Talk about your connection with Black Mesa. If you are fundraising for gas and food money to get out yourself to Black Mesa please notify us prior. If you already know a family, consult with them. Please communicate with BMIS (or other coordinating organization) about your stay on the land and we can give you an estimate of how much your stay will cost. If you fund raise more than what is needed, you can spend it on things the family needs or donate it to BMIS. BMIS & the regional grass-roots organizers that we count on are committed to creating a space that is grounded in anti-oppression principles. To actualize them, we’ve adopted an equitable fundraising model from the San Francisco Bay Area support group. In addition to fundraising for direct financial and material support to Dine’ elders & families in resistance at Black Mesa, we encourage you to consider having ‘sponsorship fundraisers’ that offers sliding scale costs to participants who might not otherwise be able to come. Being around the elders of Black Mesa and their inspiring example of 35-plus-years of resistance is an incredible privilege. Therefore we encourage fundraising for Indigenous people who want to come to Black Mesa. However, BMIS is unfortunately not in a position to offer scholarships as of Fall of 2011. We think it is important that people with access to more resources are able to mobilize those resources to support working-class participation through sliding scale costs. This means having sliding scale costs for caravan participation. The participant expectations can be negotiated depending on what people are able to do, as these are general guidelines. If you adopt this model you must be absolutely clear in your fundraising efforts about it. Please talk with BMIS and/or coordinators in your region with any questions, comments, or concerns. Bringing your experience back home also allows your community to understand where their donations are going and opens the door for transparency. Any fundraising you have done is a great opportunity to create strong ties between your experience on the land and the people who supported you in getting there. Report backs, brainstorms with your communities about how you can continue supporting the resisters on and around Black Mesa while living back home, supporting indigenous struggles where you live, and how you plan to return are ways to keep the dialogue open for long term support. Please keep us informed and let us know if we can support you in this endeavor. We look forward to seeing how supporters can integrate their experiences into their work and life! These guidelines are in the process of being developed with the guidance from the families and relatives of Black Mesa. If you are using BMIS’s name, website, literature, or tax exempt number please make sure that your event fits the mission and principles of BMIS. When you have a fundraising event idea, be sure to contact the families if you are already in contact with and/or BMIS so that we know money is being raised in the name of Big Mountain & surrounding communities of Black Mesa. Distinctly set yourself apart from charitable work. Be sure to include information and analysis regarding institutional racism. Be careful about stating ‘for Big Mountain’ but rather use more inclusive language such as Black Mesa communities impacted by forced relocation and coal mining, or Big Mountain & surrounding communities of Black Mesa, or the so-called Hopi-Partitioned-Lands communities. If you fund raise and give directly to a family, please let us know so we can focus resources elsewhere. To do direct, on-land support try to regularly check in with families as to what the needs of their communities are. Please ask your group and various families if your support efforts reflect the priorities in their community. Especially during a time of national caravans, specify who will be doing what fundraising, so that you don’t have sources who become overwhelmed or irritated by repeated solicitations from different people in our support network. Consider having ‘sponsorship fundraisers’ that offers sliding scale costs to participants who might not otherwise be able to come, especially relatives and indigenous organizers. When fundraising, consider the needs of those of us and our support networks whose finances are tight. Make events accessible by offering a sliding scale entrance fee ($3 to $10 for a benefit concert as an example). Raising awareness is just as important as raising money. If raising money for your travels to get to Black Mesa: You must make it absolutely clear that the money you are raising is not going directly to the elders and families resisting coal and forced relocation but for *you* to stay there X amount of weeks in support of those resistance communities. Please notify a family that you already know, BMIS, or your local coordinator prior to funding for yourself. If you raise more than what is needed, you can spend it on things the family needs or donate it to BMIS. Do a report-back in your community. Consider supporting local indigenous herbalists & health care practitioners as part of being an ally. Support their ongoing health care practices in their communities. If you aren’t already, try to collaborate with other community groups in your region, specifically indigenous communities. Consider doing joint benefits with local grassroots indigenous groups. Host events, hit up non-profits, generous food vendors, and folks in your own networks. Especially when doing repetitive fundraising for big events like the fall caravan, collaborate with other community groups and put on events together, or see if there are ways to sell food or table at events that are already taking place. Check in with indigenous communities in your area. Consider doing joint benefits with local grassroots indigenous groups. This document is a work in progress and we hope it sparks a critical yet constructive dialogue concerning the challenges that we face as we engage in social transformation. As we strive to be increasingly accountable with each other in this work, we welcome feedback, insights, advice, criticism and direction. Be on the lookout for a new document – guidelines for Black Mesa support, representation, & accountability. We acknowledge that we may not always agree with this feedback — and accountability does not require that we do so, but we will always listen to it, and seek to grow from it. As of the writing of these guidelines, BMIS is an organization comprised of white-privileged folks who are trying to be strong allies to the indigenous peoples of Black Mesa & beyond in the struggle against colonialism and oppression — and to free ourselves from these systems of conquest that we believe compromises the humanity of us all — We are especially grateful to those inspirational figures who have played such important roles in our lives, and have made our journey thus far possible. The list of names are too long to put here and we would not want to leave anybody out. They have taught, guided, and struggled with us as we’ve sought to become more effective advocates for justice and being people capable of acting in real solidarity with those who are the targets of system injustice every day. We give thanks to residents & relatives of Black Mesa, as well as several regional caravan coordinators without whom this letter could not be written without their support. We dream of a social movement that will transform social, economic and political realities within our lifetimes for a healthy planet liberated from fossil fuel extraction, exploitative economies, colonialism, racism and all oppressions for our generation and generations to come. This dream continues to awaken in our hearts, inspired by the on-going resistance of communities such as Black Mesa. May the resistance of Big Mountain and surrounding communities on Black Mesa always be remembered, and supported! Give back to the Earth! Give to future generations! ** From an essay by Stephanie Guilloud and William Cordery, Project South: Institute for the Elimination of Poverty and Genocide; The Revolution Will Not Be Funded – Beyond The Non-Profit Industrial Complex by INCITE! Women of Color Against Violence.